What is an International Certificate of Competence (ICC)? What is the International Certificate of Competence? The International Certificate of Competence (ICC) came about via UN Resolution 40 (UNR40), which was signed at various levels by some governments. Only agents of countries that have signed UNR40 can issue it. The United States is not a signatory to UNR40, so there is no US based ICC agent. The ICC is exactly what it is named. It is mostly used around EU countries to certify that the charterer has the minimum skills necessary. Some countries require you to have the ICC before they will charter a yacht to you. The Royal Yachting Association (RYA), as the UK agent, is the most popular source. One ICC path is to have an extensive evaluation of your sailing knowledge and skills by a qualified RYA instructor. 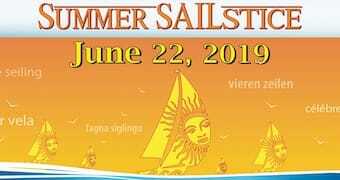 Another path is to obtain the RYA Day Skipper Certificate, which involves both knowledge and 5-day seamanship course at an RYA school. Am I required to have an ICC when chartering in Europe? Not every country requires you to have an ICC. However, most charter companies will not charter a boat to you without an ICC, or an equivalent certificate. Since it isn’t easy for a US based sailor to obtain an ICC, the ASA has an agreement with Mediterranean charter companies to provide a certification similar to the ICC called the International Proficiency Certificate (IPC). What is ASA’s International Proficiency Certificate (IPC)? 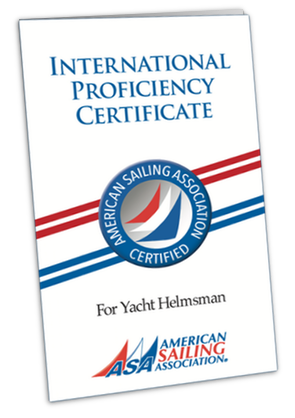 An International Proficiency Certificate indicates that you have a certain level of proficiency and competency to safely operate a type/size of vessel. An IPC provides a certification which many Mediterranean charter companies view as equivalent to the ICC. 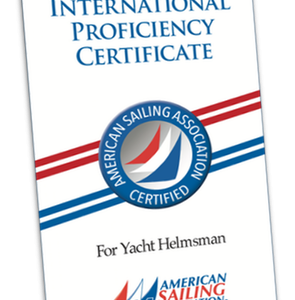 Please note that any certification should also be paired with the appropriate sailing resume and you should check with your intended charter company to verify what they require. As of 2018 the following countries accept the ASA IPC certificate: Austria, Belarus, Belgium, Bulgaria, Croatia, Czech Republic, Finland, France, Germany, Greece, Hungary, Ireland, Lithuania, Luxembourg, Netherlands, Poland, Portugal, Romania, Serbia, Slovakia, Spain, Switzerland, United Kingdom, Turkey. First you must be a certified ASA sailor with at least ASA 101, ASA 103 and ASA 104 certifications – these can obtained though your local ASA School. Qualified sailors can then complete our online IPC Application to obtain their International Proficiency Certificate (IPC). If you have any other questions regarding the ICC or IPC certificate, please contact us.